The Zionist Organization of America (ZOA) commended U.S. Representative Ron DeSantis (R-FL) and House Judiciary Chairman Bob Goodlatte (R-VA) for introducing H.R. 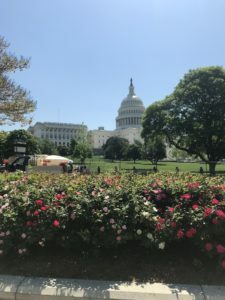 6095, the Export Administration Anti-Discrimination Act (EAADA), which will bolster already-existing law prohibiting restrictive trade practices and boycotts against countries friendly to the United States, including Israel. (3) Permanently enacting the anti-boycott protections in the 1979 Export Administration Act that are presently only enforced by Executive Order. The legislation will help us hold accountable those who are singling out and discriminating against Israel and Israelis, in commerce and on our college campuses. Also, anyone who is harmed by this despicable discriminatory behavior will now be able to seek recourse in federal court. The EAADA provides that anyone who intentionally or knowingly violates its provisions will be fined and/or imprisoned. 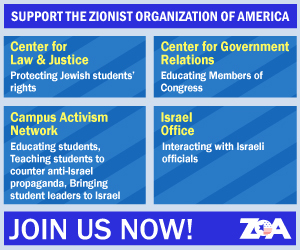 ZOA urges everyone in Congress to support this important Bill. The EAADA is a crucial new tool in our fight against the discriminatory and anti-Semitic boycott, divestment and sanctions (BDS) campaign against Israel. The legislation will help us hold accountable those who are singling out and discriminating against Israel and Israelis, in commerce and on our college campuses. Also, anyone who is harmed by this despicable discriminatory behavior will now be able to seek recourse in federal court. This much-needed legislation is crucial to our country’s trade and commerce with our allies around the world. And it makes it even clearer that our country will not tolerate discrimination against valued friends like Israel.